Where to begin? In the first two chapters of my book I explore a variety of issues related to the difficulties in evaluating and treating patients with back pain. I am posting these chapters as a means to share my perspective which developed over more than 40 years as a pain medicine physician in the US and the UK. I wrote End Back Pain Forever to open up a discussion on back pain and provide insights on effective treatments. You felt a twitch in your low back, then a heaviness and a sudden stab of pain. It struck without warning — when you were crossing the street, stacking the dishwasher, jogging, whacking a golf ball, lifting a baby, swatting a fly, carrying groceries, bending over, getting out of a car, or just turning on a faucet. Now you’re afraid to move. You’re locked in place. You feel a belt of pain pulsing across your back from hip to hip. You wonder, what’s happening? What did I do to get this? You feel as though you’re cut in half as the pain seems to separate you from your legs. Will the pain go away? Will it stay? Gingerly you start to move, but the pain only strikes harder. No, it’s not going away, not at all. And if — this is a big “if” — the pain does not ease off in a few days or go away in a couple of weeks, without proper treatment it is certain to return because your back is a target waiting to get hit again. Epidural Steroids- Are they worth the downside risk? The tragic occurrence of meningitis, stroke and death following use of infected steroids used for spine injections should make us more aware that this very common treatment for back pain may not be worth the risks. The use of epidural steroid injections (ESIs) to shrink an inflamed nerve thought to be causing back pain has not been shown to consistently reduce pain and even when it does the benefit is frequently short-lived. Aside from infection, other rare but serious side effects include bleeding that can cause nerve damage with possble weakness and paralysis, and additional pain. Steroids themselves have been the cause of bone (aseptic necrosis) and tendon damage. Multiple medical professional organizations have suggested that ESIs should not be used for long standing back or neck pain or for pain in the back or neck that does not radiate to the arms or legs. Despite the evidence that even when ESIs reduce or eliminate pain, at best they are useful for 3 months or less. Other countries i.e. Denmark, rarely use ESIs. As long as a thorough physical examination does not take place with all patients complaining of back or neck pain, with the purpose of determining if muscles are a source of pain, we will continue to rely on imaging studies that lead us to mistakenly believe that all back pain comes from the spine and the nerves leaving the spine. Continuing to provide unnecessary and ineffective treatments not only squanders our limited resources but could cause irreparable harm. In this next segment, I take Hans up on his offer to examine one of my patients. Read what happens next! Click here for the Part 4 segment. Dr. Kraus and I met a week later at Lenox Hill. I had chosen a patient whom I shall call Beth. She was a forty-five year-old woman so defeated by pain after three unsuccessful spinal operations that she could no longer hold a job. Her life had revolved around her work, which was at the core of her sense of self. She was devastated. No one had found a truly successful treatment for her, and I did not believe that anyone could. She was on high doses of morphine, 60 milligrams orally five to six times a day, to relieve her pain. This excerpt from my book End Back Pain Forever, is about my mentor and friend, Dr. Hans Kraus. He changed the way I viewed pain and the treatment of pain, and enhanced my life and ultimately my patients’ lives for the better. Then, in 1993, I met Dr. Hans Kraus. He was to transform my life and the life of my patients. He was eighty-five years old and had just retired from his practice as a specialist in physical medicine and rehabilitation. He had also given up mountaineering and rock climbing. In all those pursuits, he had won international acclaim. Originally trained as an orthopedic surgeon at the University of Vienna, Dr. Kraus was well known for having successfully treated President John F. Kennedy’s back after all prior treatments had failed. Yet his nonsurgical approach to treating patients with muscle pain, especially low back pain, was not accepted by other doctors, including some of the very doctors who referred their own patients to him for what proved to be successful treatment. For example, one prominent orthopedic surgeon at the Columbia University School of Medicine, Dr. Frank Stinchfield, who routinely sent many of his back pain patients to Dr. Kraus, underwent spinal surgery rather than consult him for his own back pain after a herniated disk was diagnosed. The surgery failed, and Dr. Stinchfield was never able to work again because of unrelenting pain. Another disappointing example was that of Dr. Jonas Salk, best known for developing the first safe and effective polio vaccine. 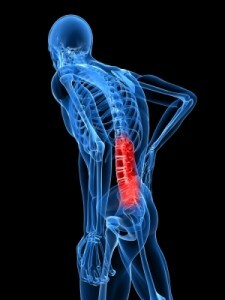 Dr. Salk did consult Dr. Kraus for back pain, and the treatment was successful. It eliminated Dr. Salk’s pain and allowed him to avoid surgery. Yet when Dr. Kraus needed Dr. Salk’s help to obtain research support, the famed medical researcher declined. He said that muscle pain didn’t have a “scientific foundation.” That has since changed, and we will look at the basic research explaining the mechanisms of muscle pain in Chapter 4. In our first meeting, Dr. Kraus asked what I did. I told him that I treated patients with chronic pain. “Low-impact aerobics are the standard way,” I said. This excerpt from my book End Back Pain Forever, provides a small summary of my early involvement in pain medicine. In 1975, I became a staff physician in the Montefiore Department of Neurology’s Headache Unit, founded by Dr. Arnold Friedman. Two years later, with Dr. Edith Kepes, an anesthesiologist at the hospital, we started the first outpatient pain center in New York City, effectively following the lead of Dr. John J. Bonica, a medical giant to whom we owe the study of pain as a recognized discipline. As a young army anesthesiologist during World War II, he pioneered pain-relieving techniques and treated ten thousand wounded soldiers. Dr. Bonica went on to write a 1,500-page medical classic, The Management of Pain, Dr. Kepes and I began a team approach with practitioners from different fields – including colleagues from anesthesiology, neurology, orthopedic surgery, neurosurgery, physiatry, psychiatry, and psychology – all of whom were interested in what could be done for patients tormented by chronic pain. I subsequently expanded on this concept by starting the New York Pain Treatment Program at Lenox Hill Hospital in 1983. It was considered a state-of-the-art treatment center in a hospital setting, with an integrated team that involved not only doctors but also physical and occupational therapists, psychologists, and pain rehabilitation nurses. We used a variety of treatments: biofeedback and relaxation training; physical therapy to increase strength, mobility, and endurance; hypnosis to help control pain; stress management to provide coping skills for handling daily upsets that may increase muscle tension; occupational therapy to teach patients how to complete their routine tasks effectively through proper time management; individual, family, and group psychotherapy to resolve personal difficulties related to living with chronic pain; and medication management to eliminate many ineffective drugs that patients were taking in their journeys from doctor to doctor. But our program had a basic flaw. We were convinced that teaching people how to live with their pain was usually the best we could do. We didn’t believe that we could eliminate their pain. Many of our patients remained on strong medication indefinitely. If a patient had a 35 percent decrease in pain, I considered that good. If we got it down to 50 percent, it was considered a success. Along with the vast majority of physicians, I was committed to the fallacy that most chronic pain couldn’t be cured. Then, in 1993, I met Dr. Hans Kraus. He was to transform my life and the life of my patients. I wrote End Back Pain Forever to open up a discussion on back pain and provide insights on effective treatments. I have posted the first two chapters of the book on my blog. As a physician specializing in pain medicine, I know how intimately mind and muscles interact. I can literally see a patient’s mental stress in tense, taut muscles. Early on in my training at Montefiore Medical Center in psychosomatic medicine, which is the study of how the mind and body interact, I could see that the separation of mind and body in medical practice made little sense. This drew me to a newly introduced technology, biofeedback, which enabled me to integrate my medical education with my psychiatric practice at the time. How do I know if kinesiophobia is a factor in my pain? There may be more to your pain than you think. Pain affects how you feel and how you move your body. More often than not, these changes happen without you even realizing it. Consider a concept known as kinesiophobia, defined as a fear of movement associated with anxiety related to an injury. Just as stress and anxiety can make pain worse, kinesiophobia can prevent a patient from recovering to their full extent and achieving relief from muscle pain. Why does back pain appear to move or change intensity? There are three different mechanisms that affect your back pain when it is related to muscles- and that means most of the pain you will experience in your life. 1. Referred back pain patterns- Pain may be referred from one muscle to another when the nerves carrying painful sensations in a muscle stimulates the same area in the spinal cord as an adjacent muscle. 2. Central sensitization- When a painful area of the body stimulates the spinal cord and makes the cord more active, other sensations coming in to the cord that would usually not be experienced as painful are now experienced as pain- like turning up the volume on your stereo and hearing things that you don’t hear when the volume is low. So when the original area of damage causing the pain is properly treated the other scattered areas of pain may disappear. Two days ago I reported on a study that showed we are frequently doing a disservice to patients in inappropriately ordering imaging studies such as MRIs. Yesterday I saw a patient who could be the poster person for the study. This patient had a back injury one year ago when a fall onto the buttock produced lasting severe low back pain. The pain doesn’t radiate-it is only in a discrete area on the buttock. She felt a tender sensation when the area was pressed. Despite the obvious findings suggesting the cause of her pain was muscle and not spine and nerves coming from the spine, an MRI was ordered and it showed a bulging disc and she was told this was the cause of her back pain. She has had a variety of physical therapy interventions and injections without relief. Her physical examination showed that she could touch her toes and her straight leg raising was 90 degrees, rarely if ever seen with a patient whose pain was the result of a disc. She did have two muscles, the Gluteus Maximus and Piriformis, which were tender when stimulated by the Muscle Pain Detection Device. This showed that these muscles were the probable cause of her pain. A ketamine based cream was applied to the skin over these muscles and her pain was gone, further supporting the connection between the muscles identified and her long-standing back pain. Osteoporosis in women is a growing public health challenge with an aging population. New approaches are needed to prevent and treat decreases in bone density and strength. Two recent articles present different and potentially complementary approaches. Diet: Lanou reviews the studies on soy diets for the prevention of osteoporosis and bone fractures. Although the results are not consistent, soy based diets that are part of a diet rich in fruits and vegetables appear to be effective. Other studies have suggested that such a diet has a wide range of health promoting effects. Although there is not yet strong enough evidence to suggest that everyone become a vegetarian, at least for women, increasing the amount of fruits and vegetables and having soy in your diet, is a good idea. Above all else, do no harm! In our desperate wish for pain relief, we sometimes receive treatment that is harmful. One of those treatments may be botulinum toxin, frequently provided as Botox injections to tender muscles. A recent article showed how Botox could produce permanent damage in muscles with normal muscle fibers being replaced with fat cells. A large study of army recruits demonstrated the protective effect of exercise on the development of knee pain. Male and female recruits who performed 4 stretching and 4 strengthening exercises for 7 weeks, were 75% less likely to develop anterior knee pain. (140 x 703/68 x 68). Normal is 18.5-24.9, overweight is 25-29.9 and obese is over 30. A study of patients in 30 European countries found that over 70,000 new cancer cases were attributable to excess BMI in 2002. Obesity is also associated with an increased incidence of diabetes, hypertension, arthritis, coronary artery disease and dementia. Pain is a deterrent to many patients when offered a therapeutic injection. There is some encouraging news on ways to make injections more comfortable. A Cochrane review found that adjusting the pH, with bicarbonate, of a lidocaine injectate for local anesthesia, reduced the discomfort for patients without reducing analgesic effectiveness. The burning sensation produced by the acidic pH of lidocaine injectable is diminished by adjusting the pH upwards from the 3.5 -7.0 usually found in commercial preparations, to approximately 7.4. Women who have had breast surgery for cancer do not have more lymphedema with exercise according to a new study published in JAMA. This is an important finding because the myth has been that exercise could cause edema in women who had lymph node excision during surgery. The study showed that not only were the women who exercised stronger, but that they had a lower incidence of edema.